Are you looking to achieve certification for your call centre in a particular field, but don’t know which formal standards apply? Let Call Centre Helper guide you through some of the world’s best-known accreditation programmes. How come the world’s most widely adopted security standard has two names? Well, having been given life by the British Standards Institute (BSI) in 1995, BS 7799 was adopted by the International Organization for Standardization (ISO) in 2000 and soon became known as ISO standard 17799 “Information technology – code of practice for information security management”. By this time, a revision had been made to the original BS 7799 document, focusing on how to implement an information security management system (ISMS) and referring to the information security management structure and controls identified in ISO 17799. This was again updated in 2002 to include the Plan-Do-Check-Act (PDCA) based on the Deming quality assurance model, and to bring the document in line with ISO 9000. BS 7799 Part 2 was eventually adopted by ISO and re-branded ISO 27001 in November 2005. No matter how confusing it is and whatever title you prefer to know it by, the standard remains hugely popular because it helps businesses to identify, manage and quantify the range of threats to which their own and their customers’ information is subject. Pretty much any organisation that wants to implement a formal procedure for the protection of data can go through the accreditation process, too, which tends to involve a two-stage audit. Typically, stage one reviews the existence and comprehensiveness of ISMS and other key documentation, such as a security policy and statement of applicability. Stage two meanwhile tests how effective these controls are. UK-based Call Centre Association (CCA) operates something called the CCA Standard, which is designed to help organisations deliver more efficient and better customer service. The Standard provides a framework against which centres can evaluate their progress and identify areas for improvement that will benefit customers, staff and organisation alike. Self-evaluation documents and guidelines are free to CCA members, but can also be purchased by non-members. Where formal accreditation is concerned, external organisations such as the British Standards Institution (BSI) will carry out assessments on a call centre’s behalf. There is a registration fee and assessment bodies do charge day rate fees. However, feedback from organisations that have successfully applied the CCA Standard suggest a wide range of business benefits, including the identification of gaps or weaknesses in process implementation, increased staff motivation and a reduction in attrition rates. The CCA stipulates that a three-month lead-time is required before accreditation can be granted. However, the business undergoing assessment can decide how long it anticipates it will need to be ready for appraisal and request a longer period to assessment on its application form if it so desires. The COPC-2000 Standard, developed by call centre consultancy Customer Operations Performance Center (COPC), is a global industry certificate for contact centre operations. As of January 2006, the organisation had undertaken nearly 800 audits in 30 countries, and continues to perform audits at a rate of about ten a month globally. Contact centres can apply for two levels of COPC accreditation. The first stage is called COPC 2000 CSP, while the second is a ‘gold standard’ that is usually only achieved once CSP has been attained. In order to get to even the first level, the contact centre in question has to define itself in terms of type of company, location and services offered. Participants are then encouraged to engage in an optional kick-off meeting and workshop – over one or two days – before at least one member of staff for each location has to become a COPC-certified ‘registered coordinator’. This process should not be underestimated. Coordinator hopefuls have to attend a week-long classroom session and obtain at least 90% in a written exam before they can qualify. Only once the company has a registered coordinator in place can they begin conducting a baseline assessment with COPC. The next few stages involve ‘closing the gaps’ identified in the assessment, optional management training and a non-compulsory stress test audit, before COPC will finally carry out a three to five-day audit. However, even if successful, businesses should expect to be re-audited every 12 months – making this particular form of accreditation one of the most rigorous in the world of call centres. UK readers will likely already be aware of IIP. For those who aren’t, though, the standard provides a framework for organisations that want to ensure their staff have the skills and motivation to work efficiently. Like many of the other standards outlined in this article, IIP isn’t prescriptive. Organisations have to meet the same criteria – or ‘indicators’ – as everyone else, but the standard recognises that they will meet them in their own way. The framework itself is separated in to three key principles: developing strategies to improve the performance of the organisation; taking action to improve the performance of the organisation; and evaluating the impact on the performance of the organisation. Each of these principles incorporates a number of ‘indicators’. For example, for the ‘developing strategies’ principle, managers need to demonstrate that they have “clearly defined and understood” what it takes to lead, manage and develop people effectively. In terms of cost, assessment by an IIP advisor is charged at a national daily rate – with the size of the organisation dictating how many days assessment will take. 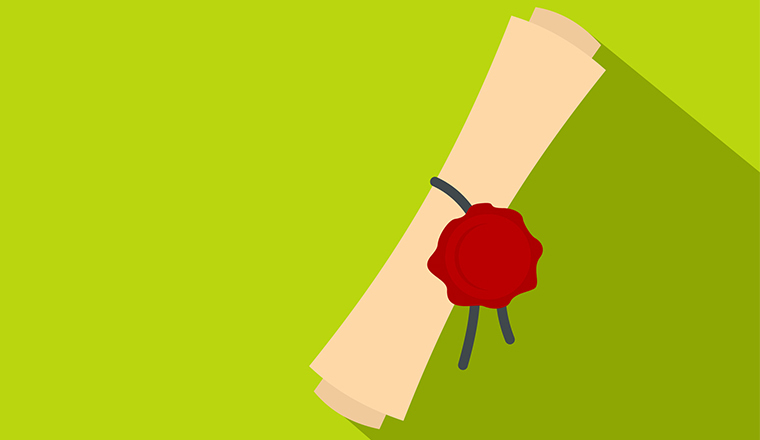 Most organisations can expect to achieve accreditation within the space of a year, and reviews need to be held at least once every three years. ISO 9000 was originally created by the BSI as BS 5750, but is now maintained by ISO and administered by many different certification and accreditation bodies. A leading quality management certificate for businesses around the globe, ISO 9000 focuses on four key areas: the customer’s quality requirements; applicable regulatory requirements; the enhancement of customer satisfaction levels; and continual performance improvement. Interestingly, when organisations say that they are ‘ISO 9000 compliant’, they actually mean that they are compliant with one section of ISO 9000 – that is, ISO 9001:2000. The rest of the ‘series’ is built up of fundamentals, vocabulary and performance improvement guidelines for quality management systems, and is therefore not certifiable. As for the details: organisations are assessed at regular intervals (usually every three years) based on their sites, functions, products, services and processes, and a list of problems – ‘action requests’ or ‘non-compliances’ – that are made known to the management. If there are no major problems on this list, the certification or accreditation body will issue an ISO 9001 certificate for each geographical site it has visited. Both accreditation and certification bodies charge fees for their services. Six Sigma was pioneered by Motorola back in 1986. Technically it isn’t an accreditation at all, having originally been defined as a metric for measuring defects and improving quality. Nonetheless, it is now so widely adopted across the globe that it would be foolish not to include it within this article. The idea behind Six Sigma is to reduce ‘defect’ levels in business processes to below 3.4 defects per a potential 1million. There are two methodologies. DMAIC (define, measure, analyse, improve, control) is used to improve existing business processes by identifying and preventing service issues. DMADV (define, measure, analyse, design and verify) is meanwhile used to create new product or process designs in such a way that they result in more predictable, mature and defect-free performance. There are a myriad of organisations throughout the world that can advise on implementing Six Sigma. However, companies that really want to adopt the methodology should also consider the many training programmes that are available to staff members. After all, Six Sigma believes that five key roles need to be put in place in any one business before the methodology can truly work. These roles range right from ‘executive leadership’ in the highest ranks of management to ‘black belt’ employees who are responsible for actually applying the metrics. The Help Desk Institute (HDI) operates a holistic certification programme for support centres called SCC, which has been developed by an open industry standards committee comprised of more than 25 experts from around the world. 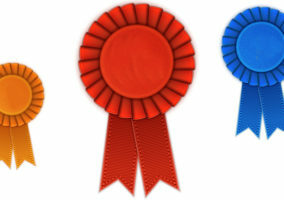 With the aim of providing global recognition for those businesses that demonstrate excellence, efficiency and commitment to quality, the certification process assesses eight core areas: leadership; policy and strategy; people management; resources; process and procedures; people satisfaction; customer satisfaction; and performance. Certification requires an on-site audit to ensure that companies meet the defined certification standards. And, in order to maintain certification status, companies must renew their certification every two years. Obviously, there is a fee for formal accreditation. However, companies that are interested in finding out how they score against the SCC standard can self-evaluate free of charge through an online questionnaire. When it has been awarded to a business, the UK’s Institute of IT Training’s technical support centre accreditation demonstrates that the company in question adheres to a high standard of service provision and staff maintenance – one that leads to the successful resolution of technical problems and, ultimately, more self-sufficiency in the client. To apply for accreditation, businesses must first submit a written application before being visited by an Institute assessor. The visit typically takes half a day, during which time the scope of service, business profile and service undertakings will be assessed, alongside the quality and calibre of staff, and their continuous professional development and training. The quality of facilities and call management processes are also scrutinised, together with quality indicators such as client satisfaction scores. The visit is not prescriptive; rather it is aimed at offering a ‘consultative audit’ involving review, open discussion and recommendation. Moreover, the cost of site accreditation is pretty reasonable: 1800 per organisation, which includes the site accreditation visit and the first year of subscription. Can anyone please help me with institution names of those who offer six sigma green belt course. The Bourton Group are very good ask for Stuart Smith.